I’m a huge fan of writing books, in fact, I’m an addict lol. It all started with The Five Minute Writer last year, which I worked my way through over the course of a few months. Great book (IMO) and I thoroughly enjoyed the exercises. At the moment I’m using The Writers Workbook by Caroline Sharp. It’s pretty good, but some of the exercises are a bit long winded lol. I’m currently practicing research…..the task is to pick a place and a year, then ask yourself 20 questions regarding life in that time at that place. I’ve always been fascinated with the Victorian period, since I was a teenager…..I tend to be drawn to Victorian antiques and jewellery and love Victorian architecture (my house was built in 1891). 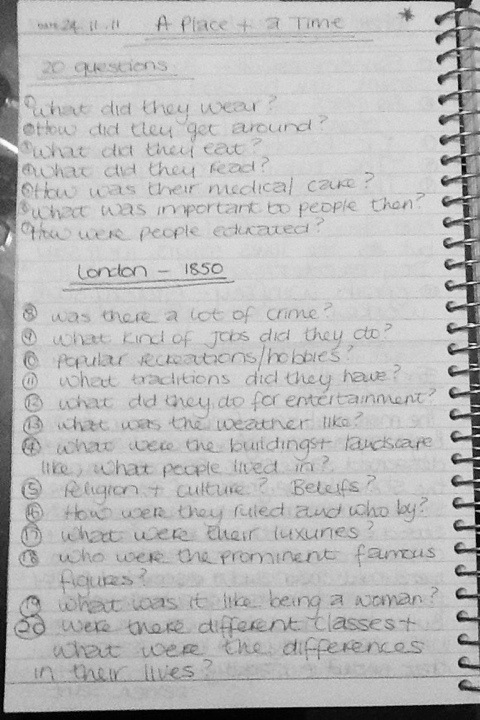 When I was growing up people use to joke that it had something to do with my name ;o) So, it was inevitable that I chose London (my home town) and 1850 for my research project. Initially I thought that would be pretty easy……ha ha ha, oh I’m so naive lol…..it’s proving to be a little more difficult than I thought lol. the Internet is a wealth of information, but it’s so easy to end up 20 web sites later a million miles away from what you originally started reading.